I think I have seen a few Highlanders with one piece doors that have eliminated the opening window on the door. Can the one piece of lexan be bent to fit the door, or does it have to be cut in two pieces? I was hoping that I could just bend the one piece but not sure its going to work, don't want to mess it up and end up buying more lexan. I elect to not install the opening windows in the doors. The lexan in still 2 pieces. Have you considered doing bubble doors? I have a website that shows how to make them, if you are interested. Please post the door website. Still working on the wings, but the doors still need to be constructed. I will look for the Building Website. I thought I had it bookmarked but I can't find it. I'll keep looking. Kind of ticks me off I thought I Book Marked it! 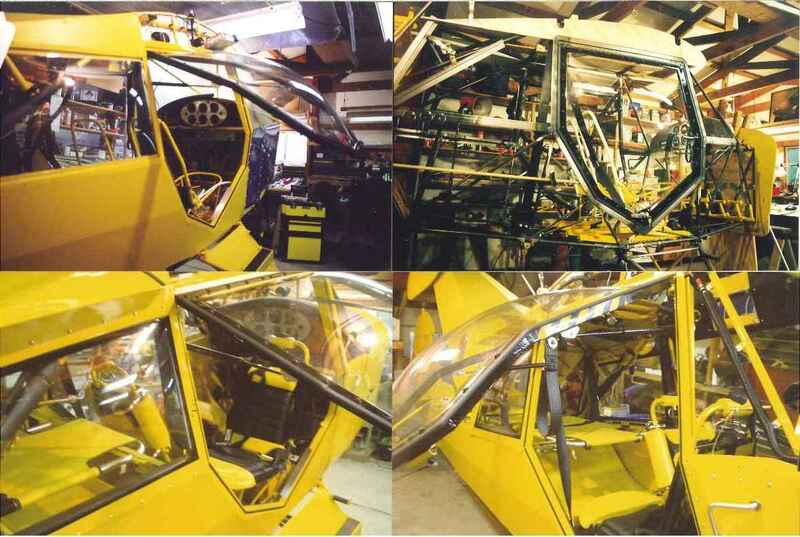 Here is a website for Aero Plastic, they make Bubble Doors for Kitfox's and other Aircraft. It would probably be cheaper to buy ready made, if you can find one to fit. I found it. I am currently flying a Kitfox, and thinking of selling it to get a Just Aircraft. I really like the Bubble Doors on my plane, in my opinion, they are the only way to go. It shows how to build the door frames, how to build the blowing fixture, and how to trim the door. It is very in depth. Click on each of the topics and there is more in depth explanations. Actually looks like fun! I like the bubble door Idea. Oh no, that will add another 100 hours to my build ! I should put it off till mine is already flying 5 year build is long enough, just have to put the lexan on the doors, roof and turtle deck and it's done. Can you post a couple of pics. That why I included a place that sells them ready to install. They would take at least 80 to 100 hours to build the fixtures and blow the doors. If you fly in hot weather the windows that open are awesome! there is no way I would build myself an airplane without them. Use my windows all the time! Ditto on the operable windows. Love them on the ground an in the air! On the ground I just open the door if it's warm. In the air I've got nice vents on the door. Michigan never really gets that warm..
defenitly don't need them in the winter.